Turn your stock tank pool into a propane-fired hot tub! As the weather cools, you can use simple parts to DIY a water heating solution for your stock tank pool. Turn your Stock Tank into a Hot Tub! Using a simple propane outdoor water heater from Amazon, you can turn your stock tank pool into a hot tub for as little as $200 (for a small heater). Depending on your pool size and water temperature, allow 1-3 hours to heat to ~90 degrees. 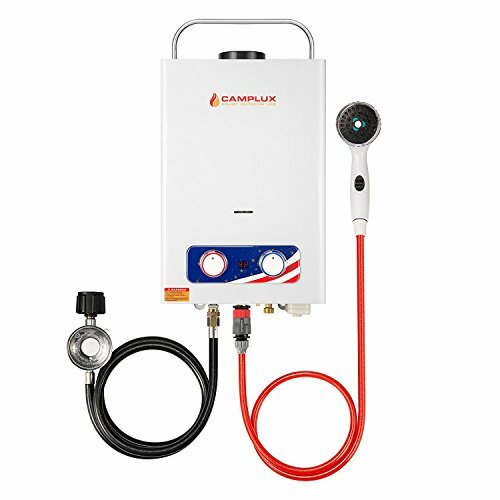 These propane water heaters are designed to be placed outside and use propane from a standard 20 pound tank. Note: you’ll need to mount the water heater to something sturdy like the side of a house or a fence. Be sure to follow water heater instructions carefully and avoid mounting anything above the exhaust pipe. 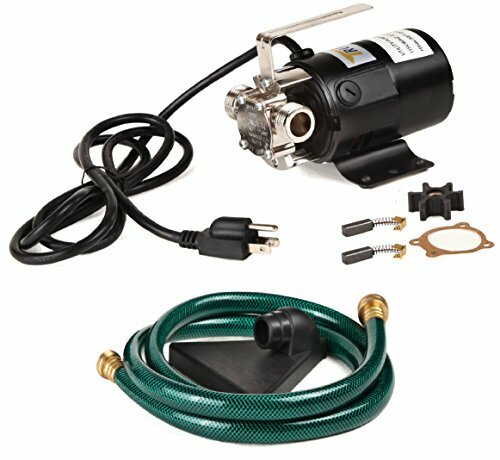 Circulates water from pool through water heater. 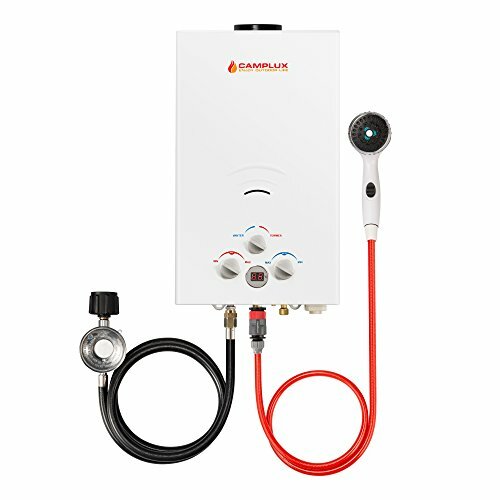 Works with both water heaters. Depending how far away your water heater is mounted, you may need longer hoses.